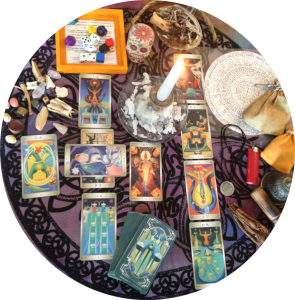 Services - Need a tarot reading, or an astrology reading, geomancy reading? Interested in personal coaching? What about having some spell work done for you? If you need magickal services, Hoodoo supplies, oils, incenses, powders and more for your sorcery, check out Conjure Work!